Lock in a great price for The Little Annexe – rated 9.6 by recent guests! The owner, Rachel, was gracious and very helpful.We parked in her drive, and she showed us the shortcut for a quick walk into the city center. The room was comfortable and attractive and had its own entrance via a patio. Food was provided in the room to make our own breakfast of coffee, tea, cereal, bread, yogurt. It is very nice, quiet place. Very comfortable. The owners are very nice people. It is 15 min walk from the old town. I went to a nice Indian restaurant for dinner. 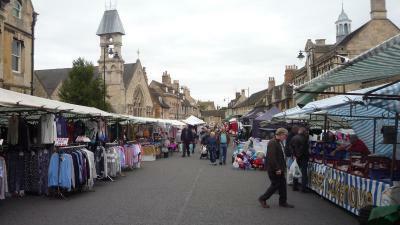 Stamford has a very pretty compact old town center, very easy to walk around it. 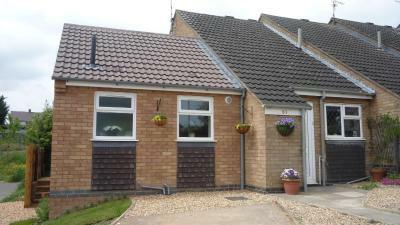 A lovely little annex, with a bedroom and a spacious bathroom, featuring a good sized shower. Rachel was fantastic and brought in croissants, yoghurts, cereals, bread, jams and milk for breakfast on both days we were staying. She was also at the end of the phone if we needed anything, or had any questions about the local area. We had a very comfortable stay at a very affordable price. As we were in the area for a wedding, we were only a 20 minute walk from the George of Stamford, and many other guests were paying upwards of £100 per night! The Little Annex is affordable, without sacrificing cleanliness and room functionality, which is a breath of fresh air. Room for the money was excellent and was able to park on front. 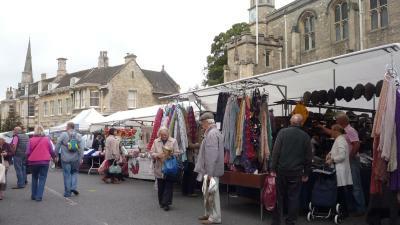 Ideal location for visiting family and the town centre. Lovely room with all you could need. Clean & tidy. Rachel is really lovely, most helpful & welcoming, fresh bread, milk and other bits were a really lovely touch. Definitely be back. We needed somewhere close to central Stamford to attend a wedding but were not prepared to pay the price of the Stamford hotels. The Little Annex was ideal. An extremely comfortable room with shower facilities and a very welcoming and accommodating owner. We walked into the centre (15 minute walk) to browse the shops initially. A taxi to the wedding venue (also in the centre) was a 5 minute drive and good value. 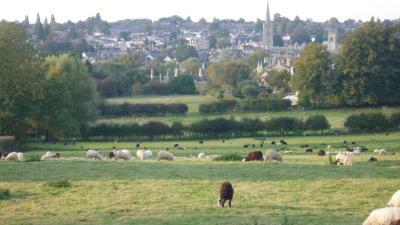 The B&B is located in a new estate but met all our requirements. Breakfast is 'self service' ie there is bread, butter/ jam/ marmalade/ marmite, croissants, yoghurt, cereal, fruit, coffee and tea (milk of course). You make it yourself in the room as a toaster, kettle , fridge and microwave are provided. It is quiet and private and the owner is happy for visitors to sit in her small, pretty garden (which is very sunny when it shines). Good variety of breakfast items left in room which we helped ourselves too. Plus extra's e.g. bottles of water and biscuits. Fresh flowers were a thoughtful touch. 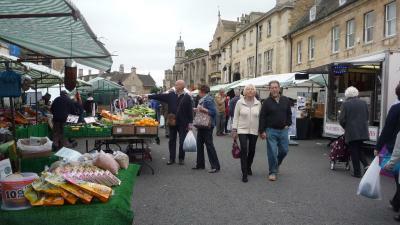 Location very good , 10-15mins walk to centre Stamford. Useful town map in room. Lovely private yard to sit in while the sun was shining!! 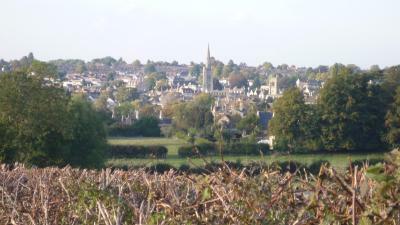 The Little Annex is located in a quiet neighborhood, 12 minutes' walk of Stamford's historic town center. Guests will also benefit from easy access to local transport and major roads. Free WiFi is available throughout. The accommodations consists of a contemporary style ground-floor room with en-suite shower and its own access and off-street parking. Facilities consist of a kettle, toaster, microwave, refrigerator and a flat-screen TV. 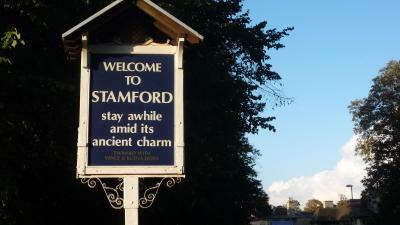 This property is also rated for the best value in Stamford! Guests are getting more for their money when compared to other properties in this city. When would you like to stay at The Little Annexe? This twin/double room has a microwave, toaster and electric kettle. House Rules The Little Annexe takes special requests – add in the next step! Any additional children or adults are charged GBP 5 per night for extra beds. Please note that continental breakfast is served on a self catering basis. Would have liked a small table or trays for eating. As long as you are aware that breakfast is 'self service' you should be OK. (ie read above comments) We read that as 'self service buffet' but, as I am not mad about a cooked breakfast did not disappoint me. However, hubbie was looking forward to a cooked breakfast. However, he enjoyed the breakfast provisions provided. Strangely, the bathroom door lock was on the outside! Nice quiet location but only 12 mins walk to the town centre (10 mins to a great local restaurant), large room with a big bed and a selection of breakfast offerings, a nice hot shower and free parking on the drive. For us there were no negative points. We were met by the owner who was extremely friendly and helpful. Nothing was too much trouble. The DIY breakfast that we were provided with was excellent using all top quality products; fresh fruit, flowers, croissants, bread, butter, preserves, yogurts and fruit juice were all excellent and tea and coffee were supplied in plenty. The accommodation was clean, comfortable and spacious enough for our requirements - The town was approx. a 10 minutes walk away and gave us the opportunity to walk off our wonderful breakfast. I would rate this quaint little annexe bed and breakfast absolute value for money and we intend to us this again when visiting family in Stamford. Self-contained annexe with everything you need including great breakfast with real coffee, choice of cereals, croissants, local baker’s bread, two types of jam & marmalade. Rachel, the owner, was extremely friendly. Lovely welcome and daffs in a vase were a nice touch. Warm and cosy. Good location 10 minutes from town.